Easy mummy nail art today! 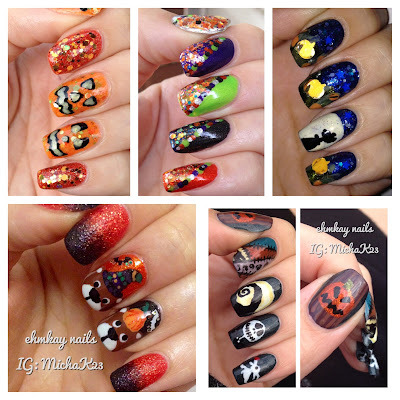 So let's take a look if you're short on time but want festive Halloween nails! Morgan Taylor has a lot of movie collaborations coming up and now they are celebrating the 40th anniversary of The Rocky Horror Picture Show with a themed collection celebrating colors from the movie. Today I have a VERY special polish. If you love glitters or textures, Red Dog Designs makes some of the best. Gina, the creator, knows how much I have been searching for China Glaze Spellbound for at least 4 years. It's like a total unicorn. I'll never get it. I've looked on every trade site, ebay, everything! So despite my sadness, Gina recreated this unicorn for me, and named it Spellbound-ed. It was a total surprise for my birthday and I couldn't wait to wear it! Don't be scared! It's not real ghosts! They just put on sheets! I love playing around with flocking powder but it's been a really long time. I pulled it out and immediately thought about the easiest Halloween costume, a sheet with eyes cut out! Happy Saturday! Today I have an 8 piece collection for a little Swatch Saturday! The Cuccio Royale collection consists of four dusty cremes and 4 shimmers for a complete fall look. Let's get to the photos! Good morning! Today is a fun post where I have coordinated my manicure with an accessory. I do this a lot with my nail art, so when I saw the wood watches from JORD, I knew I wanted to mimic the beautiful wood the watch is made out of. Yesterday I showed you a wear test of a microglitter with ORLY One Night Stand. I wanted to share proper swatches of this beauty all on its own! So let's take a look. Today I'm showing you something different, a peel off base coat from ORLY called One Night Stand! We have been hearing about peel off base coats for a long time now. It makes for easy glitter removal! I tried to Elmer's glue trick around 4 years ago and my nail polish slid right off the next morning. Suffice to say, I haven't tried it since! So when I received ORLY One Night Stand, I was excited to give it a try! I love to look back at my older nail art. Yes I cringe from the shape of my nails and the blurry photos, but right when I was getting super into nail art, I feel I did some of my best work! Today I'm showing you two of the five colors from the Color Club Cabin Fever Collection, which is available right now! If you like dusty cremes, you'll love these! I thought I would do something fun and recap some of my favorite Halloween looks! Now, some of these photos aren't the greatest because they are from when I started, but I love seeing my growth and creativity. And HEY! An oldie might inspire you! If you also look through my October months, or search Halloween on my blog, you'll find tons more! The Morgan Taylor Urban Cowgirl set is a set of 3 cremes and one frost that brings us to the middle of fall. The cremes in this set are perfect autumn cremes, so let's take a look. Hi everyone! How is your night? I'm fighting the urge not to turn on the Mets game because I swear I am bad luck for sports teams! Anyway, tonight I have another Funky French to you, and it features pumpkins! Today I have a quick NOTD swatch of Fair Maiden Polish Just a Mirage. This was my first experience with the brand, and I am super impressed! October is all about Halloween for me, but it's important to remember it is also Breast Cancer Awareness month. I always mention that you should be aware of breast cancer all year long, but it's nice to have a specific month for awareness. Morgan Taylor is releasing their four best selling pinks in a Breast Cancer Awareness mini set, Fight Like a Lady. I finally started stamping this past summer after waiting for years for no reason at all. When I saw this Halloween plate at Moyou, I of course, needed it! Remember, I am still practicing at stamping, but let's take a look at the stamping kit I received. The theme for this month's Nail Challenge Collaborative is Funky French! 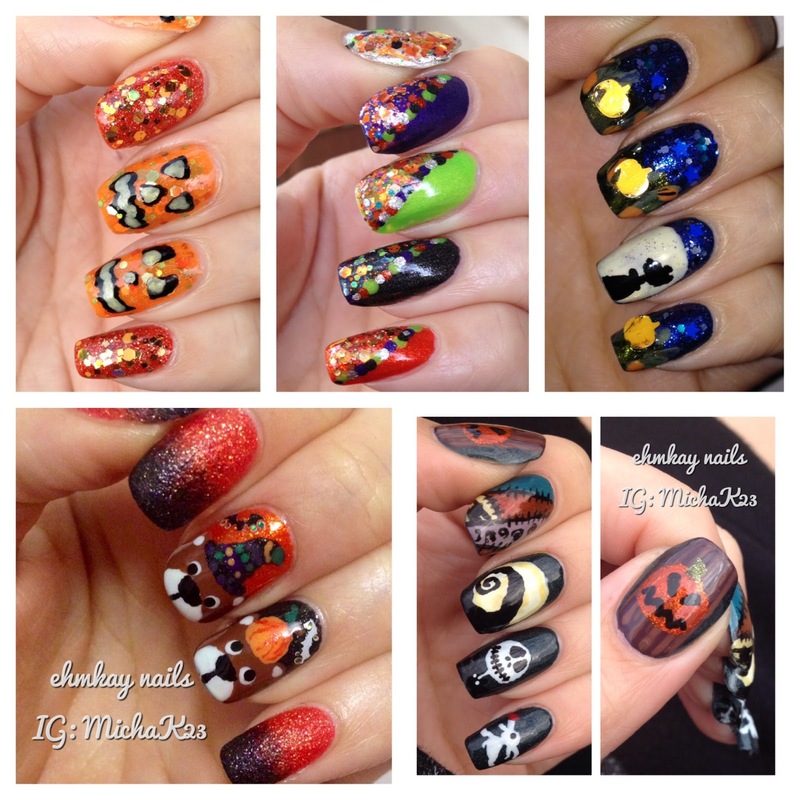 I love the interpretation of this month's theme and I have decided I am all about the Halloween funky French! Here's my literal French tip with Halloween colors! I want to repeat: This is my TOP fall collection this year! 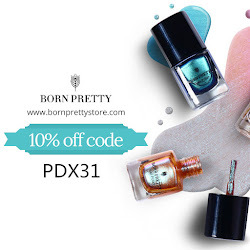 If you love cremes, beautiful formulas, and unique colors, you will definitely want these polishes! 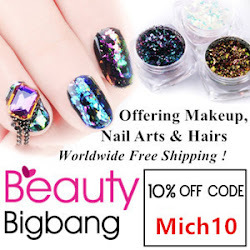 Not only have I done nail art HERE, HERE, and HERE with this collection, I've used the colors to do manicures on my friends and family. I have consistently reached for these colors in the past month and this is why I know I love them. So let's take a look! I told you that the Jessica Cosmetics La Vie Boheme collection is wonderful and I want to share with you today how well one of the polishes stamps! I'm now convinced the others do as well! So let's check out a quick NOTD! It is official. This is THE Fall collection for me. I have by far reached for this collection the most the past 6 weeks I have had it. The formulas, pigmentations, colors, all of it is perfection. These colors also STAMP amazingly well. The only reason it took me so long to post swatches is because I can't stop doing nail art with this collection and the nail art looks so awesome, I don't want to take it off! Let's get to my second look of nail art. I did the "Inspired by Jewelry post" HERE and now I'm doing dots! Hello all! Today I'm sharing two polishes from Emerald and Ash. Although their store is currently closed, they are re-opening soon so you can set aside room in your budget for these two beauties! For the last show (I wish I could fit more into my work schedule! ), I stopped by Herve Leger. This was a much bigger show so there was more space but also MORE models! Again, it was very hectic. Today I am showing you my first Painted Polish and it's a stunner! I even got to try out a nail art striper which is also sparkly, so let's look at the photos. I wore this and distracted myself A LOT. Continuing with Zoya week, today I'm showing you the shimmer portion of the fall collection, Flair. These coordinate really well with the Focus collection, as I have been showing you with my nail looks and fashion week. So let's take a look at what Zoya calls "liquid metals." Zang Toi is well known with Zoya. They've created many custom looks with the designer over the years. Zang Toi was one of the designers that went more bold with their color choice, so let's see! Today is day two of Zoya week and I am showing you the creme portion of the Fall Collection. I showed you my manicure with Janel yesterday, so let's take a look at these yummy cremes for the fall! Today marks the beginning of Zoya Week as I attended some fashion shows with Zoya backstage at New York Fashion Week Spring/Summer 2016 and got to know the nail looks for designers! It was fun meeting with different people in Zoya: the Creative Director, the Social Media Director, and the PR Director, among others! I also got to talk to the manicurists for Zoya and the head manicurist who created the look! So for the next 5 days, I will be showing you my nail looks with the newest Zoya Fall Collection: Focus and Flair and the different nail looks for designers. When I put this charm on, I felt literally like a queen! I am always adding a statement piece to my outfits when I wear plain clothing: a necklace, shoes, or even jewelry nail art. So let's take a look at this awesome charm!